Discover the great lakes and walks around Otematata. Take a bike ride along the newly developed rail trail. Visit the Elephant Rocks and Fossil centre in Duntroon or take a drive to Mount Cook and visit Tekapo on the way. Visit Omarara is only a short drive with it's wonderful hotpools and gliding centre. Or just enjoy the fabulous weather and quiet relaxing setting of Otematata. Otematata is a fabulous affordable place to take the family for a holiday. A wonderful base to explore the Waitaki Lakes area. Great property perfect for our needs for the weekend. Was a great property that was perfect for all our needs for the weekend. Awesome Kiwi Crib - Perfect place to stay in Otematata! Property was excellent - very tidy and Jean was a very accommodating host to us which we really appreciated. Really cool property and just the perfect place for a family holiday. Only 1 recommendation would be a bit more of an outdoor area at the back of the house would be great - especially when looking for a break from the kids! All in all, a fantastic property to stay at - highly recommended!! This was a great Bach. Very comfortable bed, well equipped kitchen and really good sized dining/living area.Would definitely stay again. 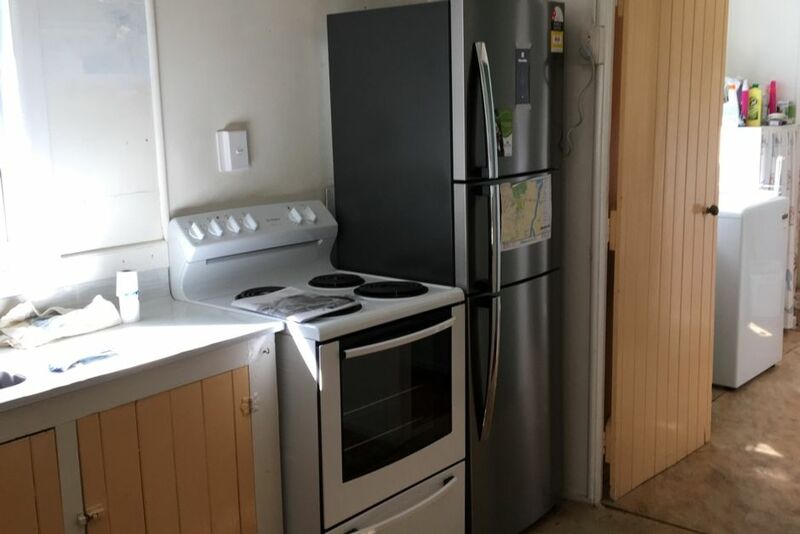 Clean & tidy property with a good sized living area.. Great location. Great T Bach, nice comfortable beds, it has everything you need and is very clean. Great T Bach, nice comfortable beds, it has everything you need and is very clean. Great value for this area. Would stay again! Great wee place, nice and quiet with room for the boat.